$47.15 This item is selling for $47.15 on eBay. 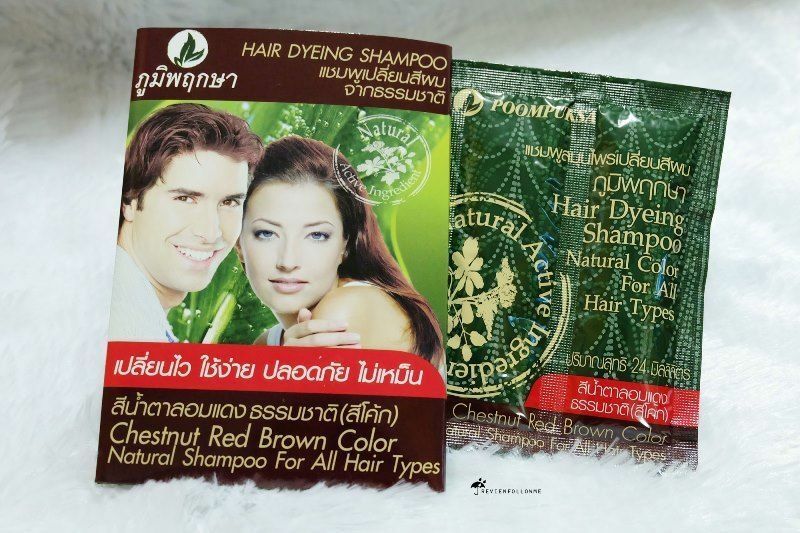 12 X PoomPuksa Natural Hair Dyeing Shampoo Chestnut Red Brown Hair Color Unisex Description : Condition : Brand NEW Package contents : Hair Dyeing Shampoo Chestnut Red Brown Quantity : 12 packs / 24 ml. 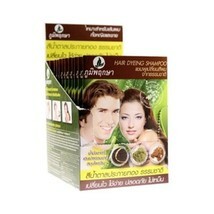 per pack Please read the instructions before using so that you acheive the best color result. Fix your hair and scalp for good health, long-term use is safe, no foul. 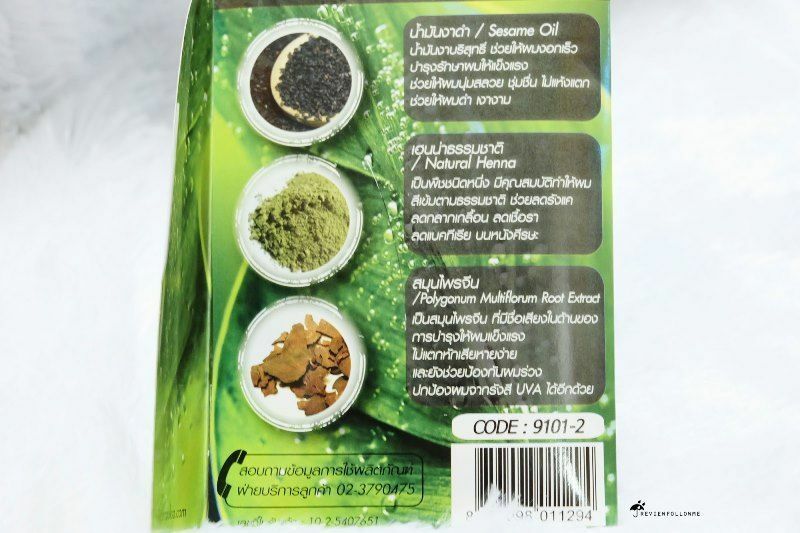 A blend of herbal extracts which improves blood flow. The blood to the hair even more. Strengthen your hair roots strong. Inhibit bacteria that cause dandruff and itchy scalp. 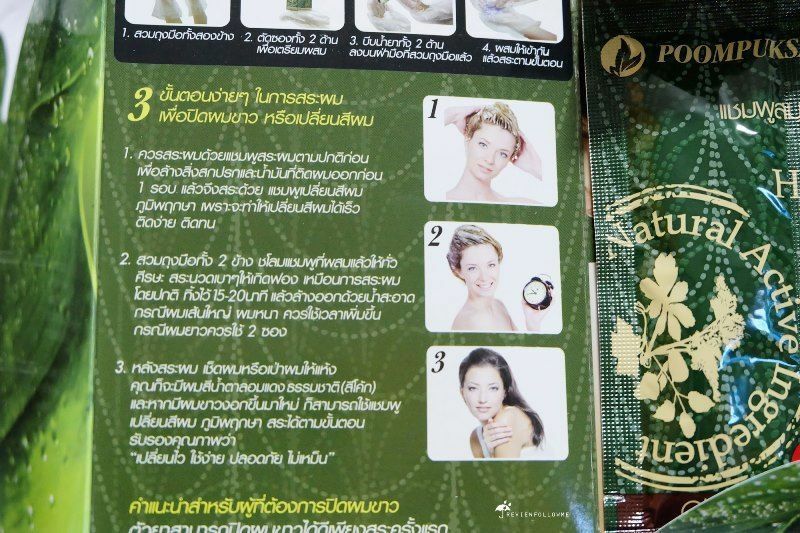 Extracts from natural herbs do not ruin your hair and scalp. 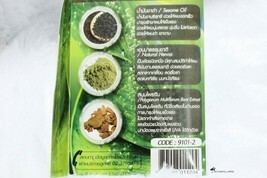 Keeps hair soft, shiny and fragrant, long-lasting, safe from chemicals. Gentle on the hair and scalp. Hair soft, shiny and beautiful natural. How to use : 3 easy steps in hair washing for protect white hair or cage hair color Step 1 : Always wash your hair with shampoo as normal. To clear the dirt and oil that left before the first round. The wash color shampoo which will be changed hair color to fast. Step 2 : Wear gloves two sides then tear pack shampoo, hair color combination of the two slots on the palm. The mixture is homogeneous. Massage shampoo into wet hair. Massage focuses on the special white hair. Then massage the foam all over your entire head from root to tip. Avoid contact with clean eyes. If I had a gic, thick hair should take up. Long hair should use the two envelopes. Leave it for about 5-10 minutes, for hair color : leave it about 20-30 minutes). Step 3 : When it stain evenly, then rinse with clean water. After shampooing hair or hair dryer to dry. 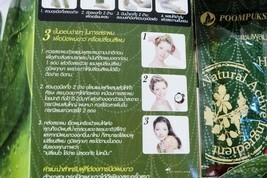 You will have natural chestnut red brown hair. If you have white hair grows back you can shampoo your hair color. Note : Do not use to dye eyelashes and eyebrows or for a use other than hair color. Do not use if your hair has been colored with henna or with a progressive staining. 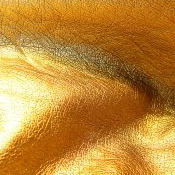 Color of product may be trivial different from the picture due to the image lighting. 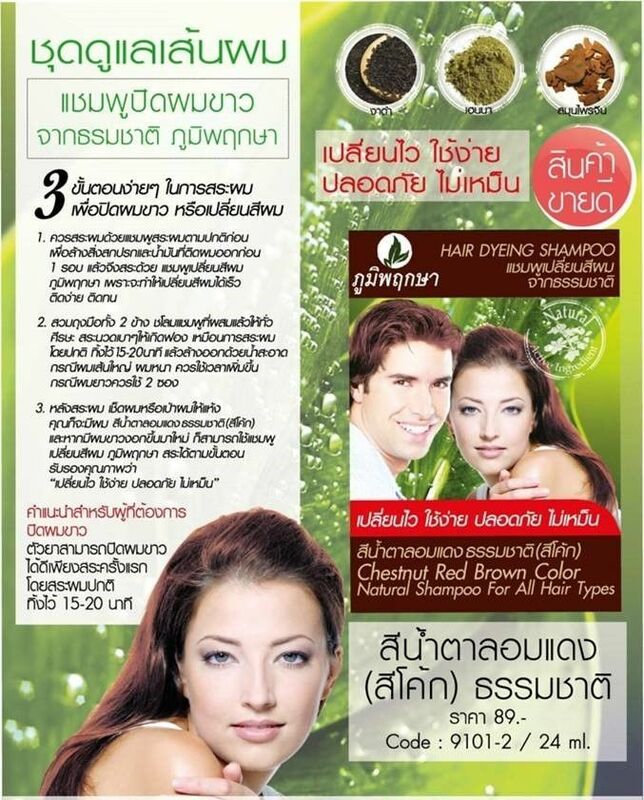 ***Color will change by your basic hair color before use it (Dark or Light hair color). *** Payment : I accept ONLY PayPal for payment. The payment is expected within 3 days after the auction ends. Shipment : Free Shipping Handling WORLDWIDE. The package will be shipped directly from Thailand via Standard Small package Airmail, No tracking number, and it will take about 11-35 business days. Policy : 100% Satisfaction Guarantee: If you are not satisfied with the product you purchased for any reason, please contact us for a return instruction within 30 days for a refund. Shipping Handling costs are not refundable. Return shipping cost will be paid by buyer. only. Thank you for your visiting and shopping with us. Have a nice day!! !